A writing conference is one of the greatest places to advance your writing career. For more than 20 years the Pikes Peak Writers Conference has put together a slate that will strengthen your skills in the craft of writing and expand your knowledge of the publishing industry. And that’s just the sessions. One of the greatest benefits of a conference, such as PPWC, is something you will not find on the schedule or listed in the brochure. Networking. There will be hundreds of writers in attendance at this year’s conference, just like you. Your backgrounds may be similar or different, but we’re all putting words on paper, creating worlds, and telling stories. Some have more experience, some have less. But this writing journey is one you can’t go solo. You need critique partners, beta readers and people, who understand, to provide encouragement. Take the time to meet others who are writing in your genre or live in the same area. You don’t have to become best friends to make your relationship beneficial to both of you. We need people we can trust in our writing corner. A conference is a great place to build your team. These creative minds have experience and firsthand knowledge they can share with you on your journey toward publication. Traditional, Indie or Hybrid all have unique twists and turns. Take the time to talk to these authors about their path to publication. You might be debating the pros and cons of a publication contract right now or still waiting to finish that novel. By making an author connection at conference you’ll have a person who can provide the advice you need at the moment you need it. For those of you looking at traditional publishing these special attendees could hold the key to your future. They are not gods or superheroes; they’re people with really cool jobs. Don’t be scared to discuss the industry and your projects. Talk to them, not at them. If you want to lower your anxiety, go introduce yourself to an editor or agent who doesn’t represent what you write (just for practice). You’ll find out they’re just normal people… well, as normal as anyone in this business. And guess what, when you see that same editor/agent later in the day talking to an editor/agent in your genre…it makes the introductions so much smoother. Guess what? They’re people too. They’ve just sold more books than you. Which means they have an amazing amount of knowledge they can share. And some pretty cools stories about their writing careers. Try to keep your fan geek calm and enjoy the conversation. Most of our staff and several of our volunteers have been attending conferences for years. If you have questions or concerns just grab one of them. Need to know where a specific room is? Need to find that pitch session? Where’s the hidden bathroom? Or maybe you’d like a little assistance with an introduction with that certain agent? The PPW staff and volunteers are there to help you enjoy your conference. It really is. And this is a business. It’s entertainment. It’s educational. It’s artistic. The publishing industry is many things, including a billion-dollar business. In all your interactions with people (aka networking) remember to act accordingly. Be courteous. Don’t be pushy. Be gracious. Don’t be all about yourself. Be friendly. There are times to talk about your work. And there are times not to talk about your work. Be aware of your surroundings and the flow of conversation. You’ll get the chance to promote yourself and your novel when the timing is right. And remember… people might be trying to network with you, yeah you. If all you do is talk about yourself, you’ll be missing out on the opportunities to engage with some great people. People also drink together. Otherwise known as BarCon. Whether you like wine, beer or a martini—or prefer non-alcoholic beverages, hanging out at the hotel bar and lobby after dinner is a great place to connect with people in a casual atmosphere. The stress of the day is washing away. Your mind isn’t trying to take in every word of the guest speaker. Sit back, relax, be yourself. 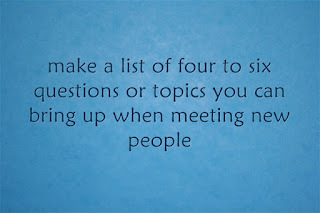 If you have trouble starting conversations or are a bit shy…make a list of four to six questions or topics you can bring up when meeting new people—your personal “ice breaker” if you will. For us introverts, remember to set time aside to recharge, we can’t be “on” every minute of every day. Conference can be a whirlwind of fun and people. Get ready for some prime networking. The person you meet at lunch on Friday, might be the person who introduces you to your future spouse… wait, wrong blog… introduces you to your next critique partner. Networking isn’t about one-to-one connections, but about placing yourself in the interconnections of your writing tribe. That friend-of-a-friend really could be the person you need on your writing journey. One thing to remember, networking doesn’t always show its value immediately. What if in the end the editor/agent you meet doesn’t want your current novel? It could be the next book she wants, and you have an “in” because she’ll remember you from conference. Or there could be a magical referral to another agent. 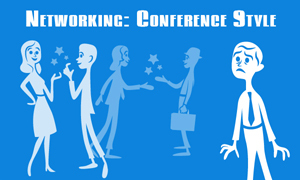 Get connected and engage with others at conference. You never know how many doors may open. It could be the greatest benefit to your writing career. First of all, the Pikes Peak Writers Conference is a fun conference, filled with kind-hearted people. It’s not a middle school lunch room. You and I, and all the other writers/authors/agents/publishers, are the cool kids. And there’s loads of room at this cool kids’ table, no matter what you are wearing. Most important thing to wear is a smile. It makes you feel good and makes others around you feel good. You’ll never know how your friendly face might ease another person’s anxiety. Go with comfortable business casual. 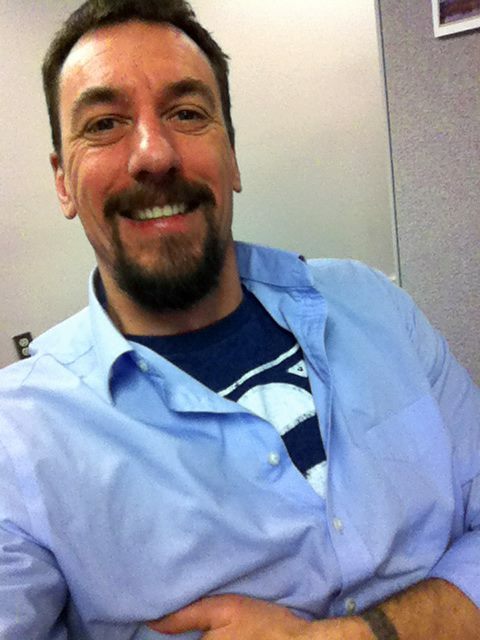 Certainly, jeans and a tee shirt are just fine, too, unless you are pitching to an agent or editor. Then, better to dress up than dress down. But, don’t fret if you don’t have anything fancy. Even clean jeans and a pressed shirt or blouse are fine. Unless you have a medical reason, I’d shy away from yoga pants or sweat pants. Plan on being on your feet walking around and standing in lines. Sure, you’ll be sitting a lot, too, but comfortable shoes are always in style. 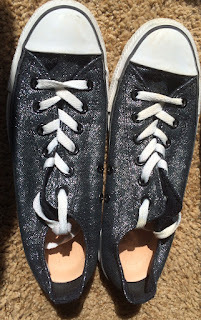 Speaking of style, I heard rumors that a pair of low top Converse (a black sparkly pair) will be making their debut appearance. Dress in layers. I would err on the side of assuming the conference rooms will be warmer than colder. Outside the hotel? It’s Colorado. In the spring. The weather is extremely unpredictable. No. Seriously. 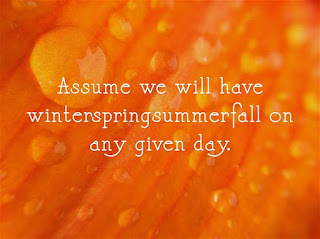 Assume we will have winterspringsummerfall on any given day. Heck, during any given hour. Again, layers are really the best choice. You’ll be taking stuff off and putting it back on again all day. Be aware of the size of your briefcase or laptop case or purse. The dining hall can be a death trap for the wait-staff because of these. I have yet to see a lunch or dinner go by without someone tripping over a briefcase or purse, or snagging their toes in the strap. Place your case or purse under the table and between your feet, or under your chair. Just make sure those straps or handles are tucked away. Carry breath mints or gum. Watch the amount of perfume or aftershave. Leave your favorite superhero or heroine outfit at home. Business cards: if you have some, bring them. All you need on your card is your name, email (website or blogsite if you have one), and your phone number. There are loads of inexpensive sites online that will print up a small batch for you. You don’t need a ton of cards, just enough to use, so order the minimum, because you’ll make different ones as your career progresses. It’s a business card, not a marriage. And if you don’t have or want business cards, it is no big deal either. Remember that smile. You’re with fellow writers and book lovers. And we’re all here for the same reason: making our dreams come true. About the Writer: Darby Karchut is an award-winning author, dreamer, and compulsive dawn greeter. She's been known to run in blizzards and bike in lightning storms. A former middle school teacher, she now divides her time between dodging death by Colorado and writing urban fantasy for tweens, teens, and adults. Darby has also recently dipped the toes of her running shoes into contemporary fiction. Best thing ever: her debut novel, Griffin Rising, has been optioned for film. 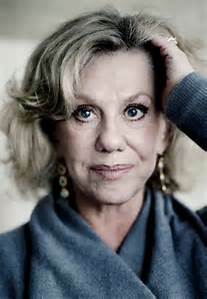 Erica Jong, born March 26, 1942, is an American author and teacher best known for her fiction and poetry, and particularly for her 1973 novel Fear of Flying. PPWC_2016_Auction from Stacy Jensen on Vimeo. We're having a silent auction again this year at Pikes Peak Writers Conference. You know the kind where you write your bids down and then wait until the final buzzer to outbid your friends. It's all friendly and for a great cause. Monies raised from the auction are used to support Pikes Peak Writers programs — workshops, critique groups, and writer events — and the conference scholarship fund. There are two ways to support the auction. Option One — make a donation. Really, we can use anything you think a writer might like — an online course to study the writing craft, books, chocolate, wine, a journal, a critique, or a service you think a writer may enjoy. Critiques and editing services are very popular with conference attendees. No item is too small. We can combine several individual items into a basket. If you want to make a donation, please visit this form to share donation details. If you have questions, please email. Donors receive a letter from Pikes Peak Writers for tax purposes. Please let us know about your donations by March 25. Option Two — make a bid. While at conference, check out the display of items being auctioned. They are across from the registration desk. Bid as often and as high as you want. Feel free to bid as high as want. The silent auction is open at the beginning of registration and ends on April 16 (time will be announced) at conference. Review the items on display. Check randomly to see, if anyone has added a higher bid than your own. Before the auction closes, you have a few minutes to see if you want to outbid your competition. Once the auction closes, fundraising volunteers review the bids and begin contacting the winning bidders. Items may be picked up at the registration table and paid for in the conference bookstore. If you don't pick up your item and pay for it Saturday, it will be in the bookstore on Sunday morning for purchase. You do not have to be present to win an auction item. You just have to have the highest bid. Encourage your friends to make a bid. Really, it's easy. Pick up a pen and go for it. So, let's not be silent about this whole auction thing. Let's be loud about it and raise some money to support the ongoing efforts of Pikes Peak Writers. I'm happy to answer questions here or via email. About the Author: Stacy S. Jensen worked as a newspaper reporter and editor for two decades. Today, she writes picture books and revises a memoir manuscript. She lives in Colorado Springs with her husband and son. So I’m going to talk about shyness. If you met me, you might think I’m the last guy who knows about the awkward, shrinking feeling some people get when they are thrust in social situations with people they don’t *gulp* know. But I grew up painfully shy. No, it went deeper than that. I was trapped by the evil sorcerer king known as shyness. I was imprisoned. I was taught a magic spell to banish all shyness. And nowhere is this spell more powerful than at writer’s conferences. I think it’s because of all the epic fantasy writers. Get ready, because I will teach this potent, forbidden magic. It has the three things a spell needs, a verbal component, a physical component, and a gesture. Yeah, I played waaayyyy too much Dungeons and Dragons. 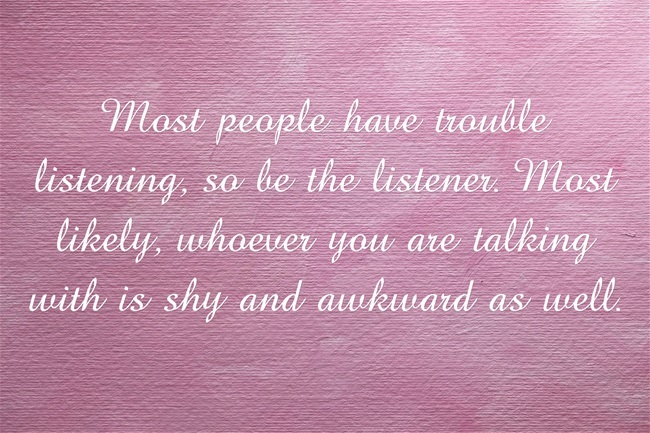 It didn’t help me overcome my shyness. 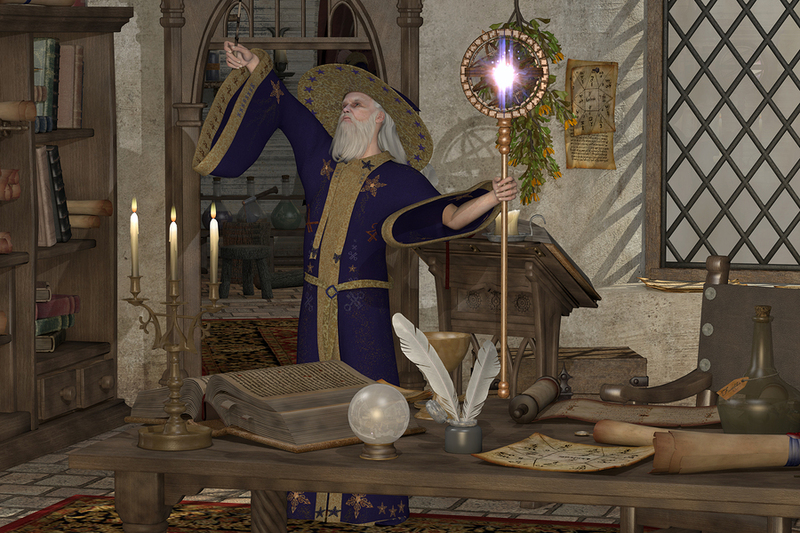 Actually, the sorcerer-king grew ever more powerful every time I rolled the dice or role-played scenarios with my DM while we shopped for Mac n Cheese in a grocery store. Lucky’s, the low price leader. But do you know what? Becoming a writer did help me slay shyness. That’s it. At writer conferences, such as the Pikes Peak Writers Conference, you have an automatic topic of conversation and a question to ask. If there is an awkward pause, you ask, “What do you write?” and bam, the conversation begins. However, there are two other components. THE PHYSICAL COMPONENT: You close your mouth firmly. You open your ears and listen. You don’t think about the next thing you are going to say, you don’t dig in your pocket for bat guano (which is a component for a fireball spell) or sand (for a sleep spell). The physical component for this spell is that you listen to what the person says and you really hear them. Most people have trouble listening, so be the listener. 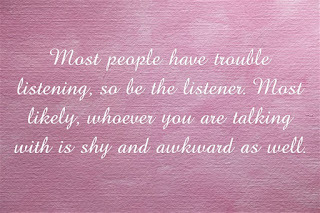 Most likely, whoever you are talking with is shy and awkward as well. So to have someone ask them a question and listen to the answer will make them feel good. And now, for the final part of the spell. THE GESTURE: Don’t cross your arms, face the person, look at them, and don’t glance around. Make sure they know you have their attention as you listen. You don’t have to make creepy, constant eye-contact. I don’t. Man, sometimes eye contact freaks me out. But I try and make sure they know I am listening. Then, since you are a writer, and writers are generally curious sorts of creatures, as they talk, you will come up with other questions about their book, and you will ask them, and they will talk, and if they have some social skills, they will ask about your book. And you will talk about your book, since talking about your book is a skill that is very useful. The Pikes Peak Writers Conference is such a nice place to practice talking about your book, and the more you do it, the easier it will become. As you practice this spell, your shyness will die as you learn to talk to people, and, dude, authors are interesting people. Some aren’t. Some will bore you to death as they talk about each plot point of their book and you will have to chew your arm off to get away from them. But most of the time, I’m talking like 99% of the time plus, you will meet fascinating people who have done a variety of fascinating things and those fascinating things go right into their book. 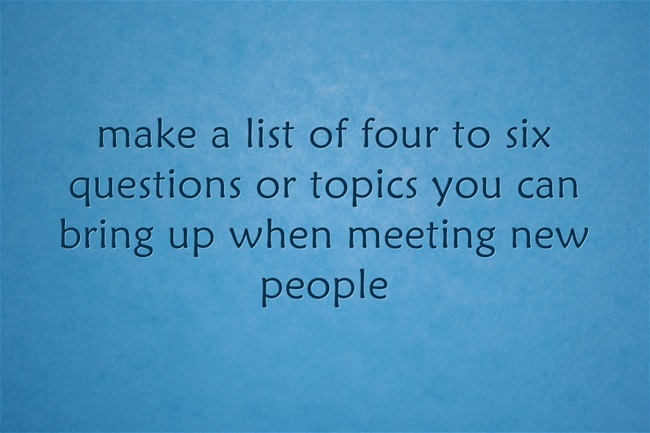 Which generates questions and conversation. And yeah, sometimes the conversation slowly withers and dies in front of your eyes. For whatever reason. Maybe someone came up and interrupted, and suddenly you have to re-cast the spell and build the conversation again from the ground up. Then go find someone else you gel with. Full disclosure, I learned all of this from both an ancient necromancer and a comely young maidenly sort of sorceress. The necromancer was my dad, a Denver policeman for thirty-five years. He said most of the job was talking to people, and he learned how to talk with anyone. The comely young sorceress? Well, dang skippy, I married her. 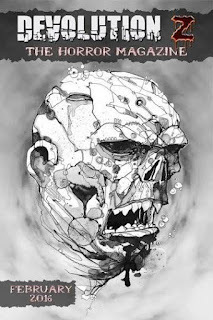 Aaron Michael Ritchey is the author of The Never Prayer, Long Live the Suicide King, and Elizabeth’s Midnight. 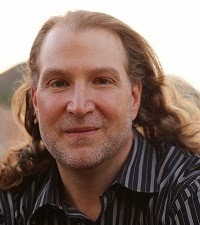 His fourth novel, Dandelion Iron, the first book in The Juniper Wars series, will gallop into town on April 21, 2016, published by Kevin J. Anderson’s WordFire Press. In 2015, his second novel won the “Building the Dream” award for best YA novel, and he spent the summer as the Artist in Residence for the Anythink Library. He lives in Colorado with his wife and two ancient goddesses of chaos posing as his daughters. 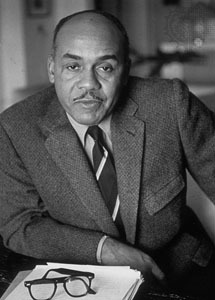 Invisible Man is a novel by Ralph Ellison (March 1, 1914-April 16, 1994) about an African American man whose color renders him invisible, published by Random House in 1952. It addresses many of the social and intellectual issues facing African-Americans early in the twentieth century, including black nationalism, the relationship between black identity and Marxism, and the reformist racial policies of Booker T. Washington, as well as issues of individuality and personal identity. Invisible Man won the U.S. National Book Award for Fiction in 1953. According to the New York Times, U.S. President Barack Obama modeled his memoir Dreams from My Father on Ellison's novel. 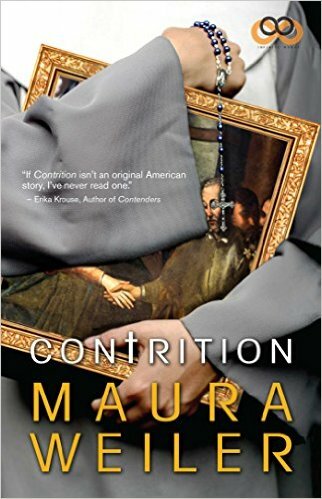 Maura Weiler’s mainstream novel, Contrition, (ages 15-95, ISBN: 1593096488 and 978-1593096489, 330 pages, trade paperback), was released on April 14, 2015, by Infinite Words/Simon & Schuster and is available in book stores nationwide. A journalist, who's adopted, discovers that she has a twin sister who is a world class painter. The journalist wants to break the story to help both their careers, but her sister is a cloistered nun who refuses to show or sell her work out of humility. Maura Weiler is a former journalist and trash artist whose work has been featured on NBC Television and in galleries across the country. As Director of Development at Blue Tulip Productions, she helped develop the screenplays for such films as SPEED, TWISTER and MINORITY REPORT. 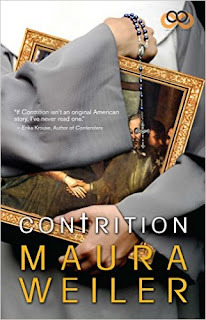 Her debut novel, CONTRITION is a former winner in the Pikes Peak Paul Gillette Writing Contest.